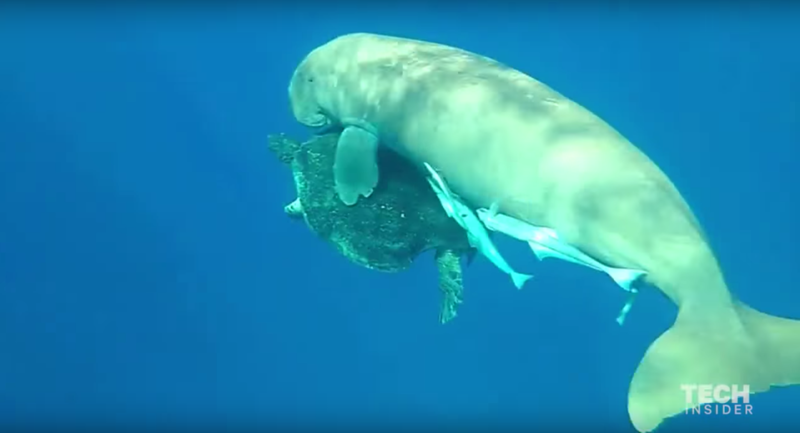 A diver captured strange but transfixing footage of a dugong attempting to ride a sea turtle — and it's one of the most endearing animal interactions ever. The ocean is full of hitchhikers. Some are harmless, such as the copepods, tube worms and sea spiders that find homes on corals or other rocks. Some are predatory, such as fireworms or nudibranchs that will devour their coralline hosts. And some, well, some are just straight up confusing. 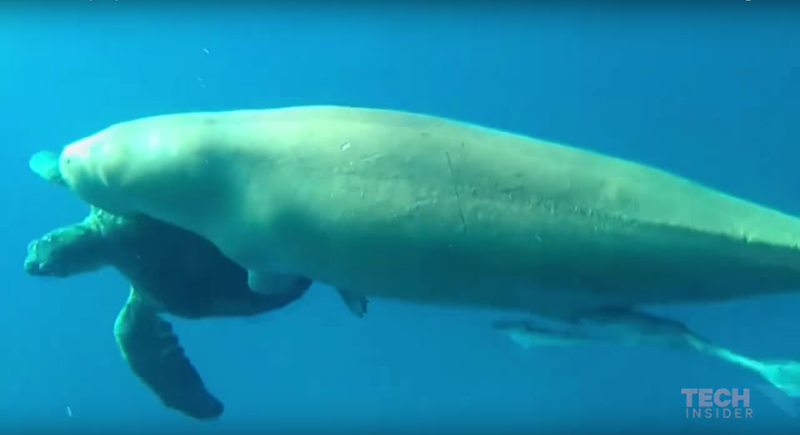 A diver captured strange but transfixing footage of a dugong attempting to ride a green sea turtle. 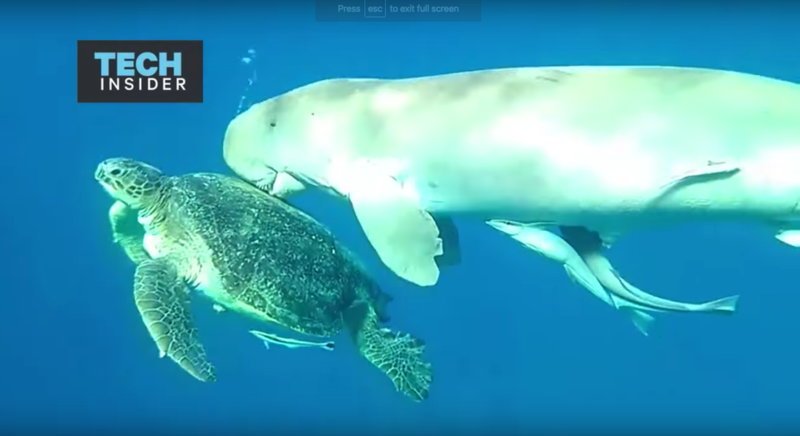 The pair were swimming off the coast of Egypt in one of the most endearing animal interactions we’ve ever seen. The dugong swims right above the sea turtle, following the turtle like she’s the most popular girl in school. And the turtle never seems to mind or even take notice of its piggybacker. Even when it looks like the dugong is kissing it. Or hovering above it, just because. Close but less famous cousins of the manatee, dugongs are mostly known for eating grass, swimming slowly and gently, and looking pretty cute all the time. Riding turtles has never really been in their repertoire, until now. The dugong did boast its own little hitchhikers: the sucker-mouthed remoras attached to its tail. Either way, the dugong was acting like your friend who really wants to hang out even though you’re doing your own thing. You do you, sea turtle — keep on keepin’ on.